The Pen Style Gate therefore was one of the Yeovil toll gates, literally a gate across the road, and appears in the 1841 census as being controlled by George London, a wagoner, who lived in a cottage there with his wife and four children. Later, a toll house known as the Penstyle Turnpike House was constructed for the gate keeper. 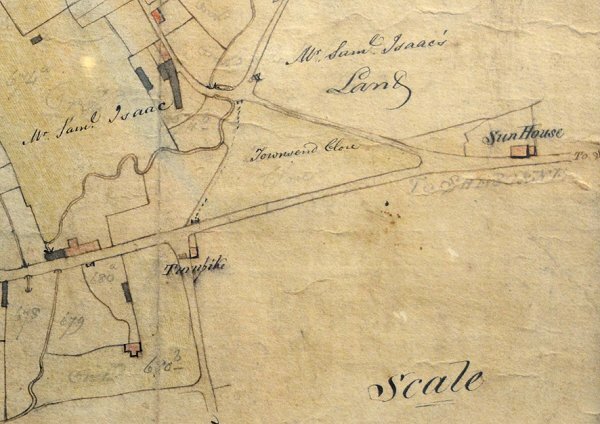 E Watts' map of Yeovil of 1806 shows Penstyle Gate crossing Newton Road and marked 'Turnpike' at centre left. The tollkeeper's house is shown to its east - later replaced by Penstyle Turnpike House.